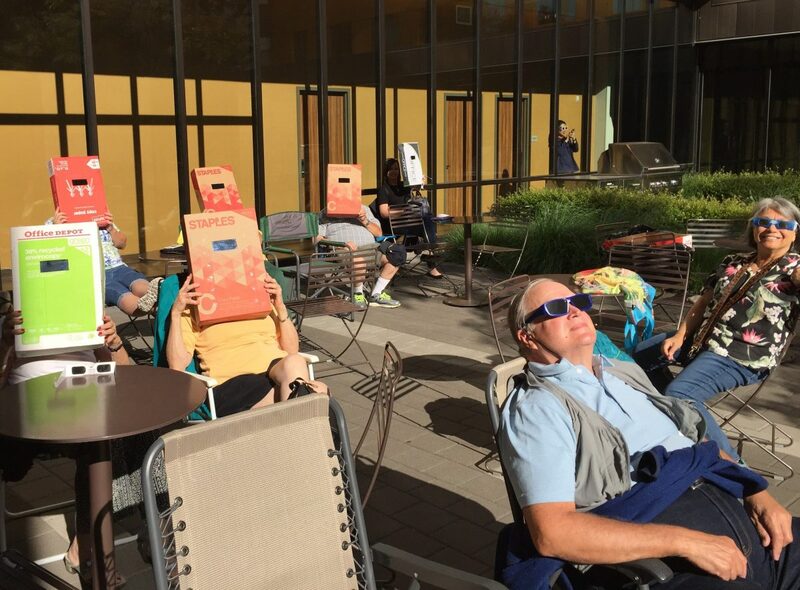 Our enrichment activities director from Franke Tobey Jones Retirement Community planned an exciting eclipse-viewing trip for us. Last Friday we left Tacoma, WA, for the 150-mile trip south to Portland, OR. 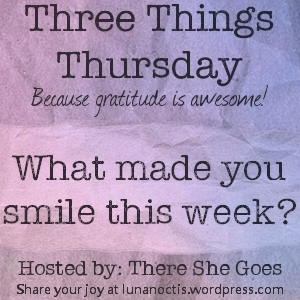 Here are three highlights of our trip. 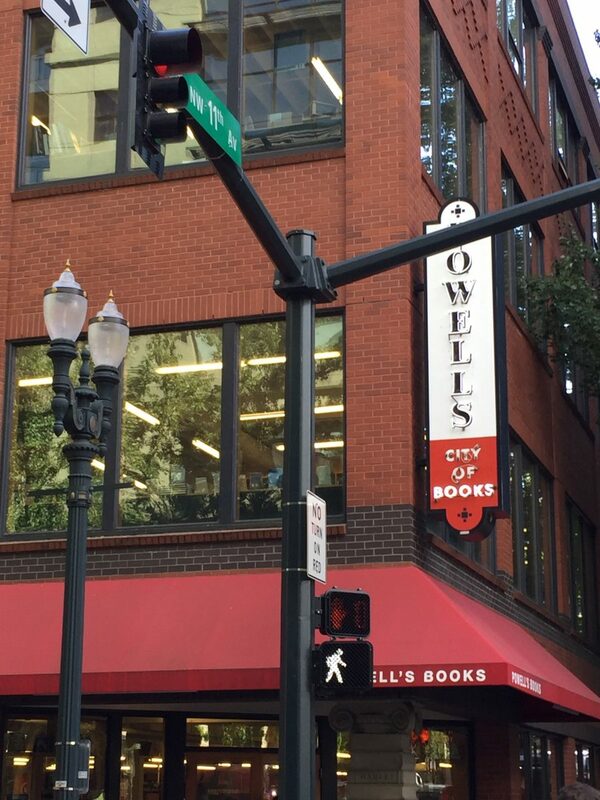 No trip to Portland is complete without a visit to Powell’s Books, the mother ship of bookstores. I only got this quick shot of the store’s exterior as we were crossing the street to enter. Once I got inside, I was much too excited to bother with photos. But trust me, if you’re ever in Portland, you’ll want to include this landmark on places-to-visit list. 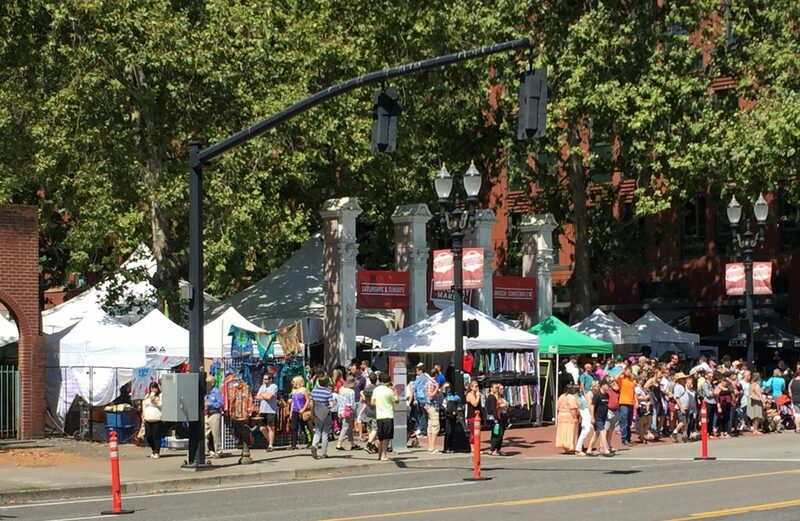 Equally as famous as Powell’s Books is Portland’s Saturday Market, which is now open on both Saturdays and Sundays. You can find just about anything you want there. We had a lovely day to browse, and I came home with a number of holiday gifts. A few of our fellow travelers made the short trip to a park in a town a bit south of Portland, where they saw the whole thing: 100% totality.